The Sanctuary Lofts is a new 19 unit church-conversion project located at 1183 Dufferin Street, south of Dupont Street and north of Bloor Street West. 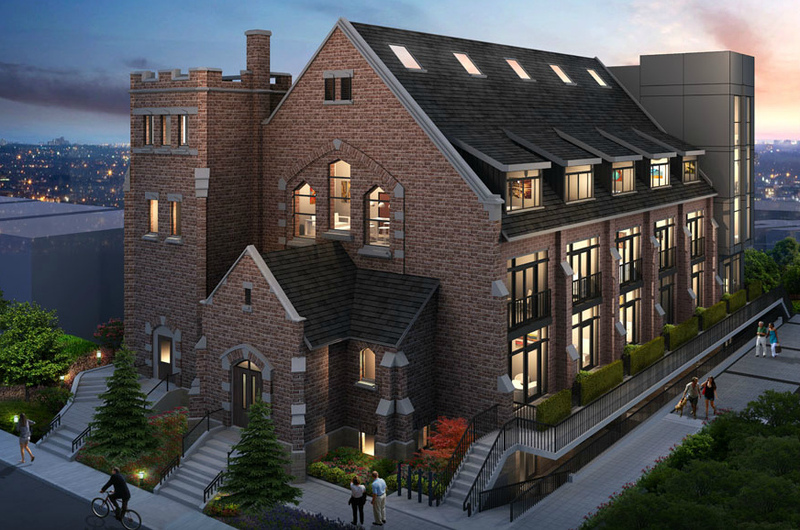 The Walsh Group and Concept Lofts Developments are converting this historic Presbyterian Church, which has stood for almost 10o years, into authentic hard lofts. Designed in the early 1900’s by William R. Gregg, this church has become a recognizable landmark, due to its Collegiate Gothic architectural style. The exterior has deep red brick, Tudor-arched windows, cut stone detailing and decorative keystones. The windows are amber tinted and decorative rose stained glass, which highlight the arched wooden trusses, curved wooden pews and ornamental light fixtures. The lofts will range in size from 600 sq ft to 1765 sq ft.
>>Click here to contact me if you are interested in this project, or any other Toronto loft or condo development.